Byrd Theatre's Manager to Judge at Cannes Film Festival | Movies | Style Weekly - Richmond, VA local news, arts, and events. 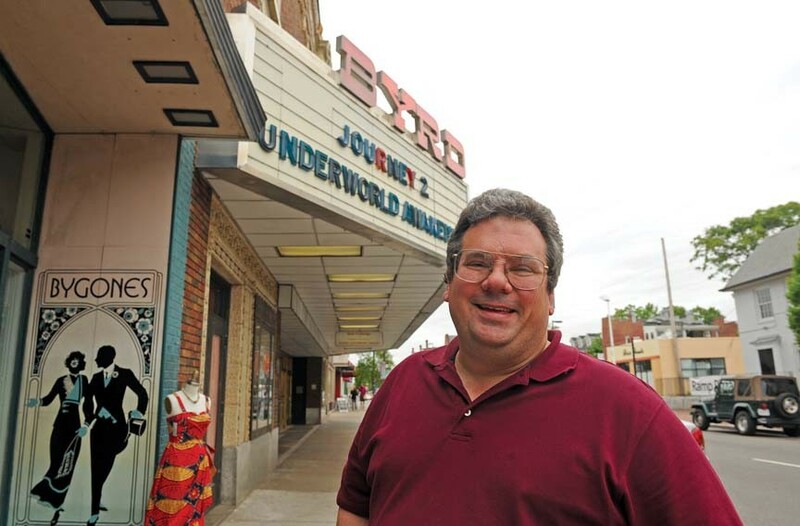 Todd Schall-Vess, manager of the Byrd Theatre, was recently selected as a juror for the upcoming Cannes Film Festival. As you're watching the Hollywood celebrities walk the red carpet at the 65th Cannes International Film Festival this month, you just might catch a glimpse in the background of the longtime manager of Richmond's Byrd Theatre. Then again, you might not, says Todd Schall-Vess, who will be serving this year as a Cannes juror for the Vulcain Prize of the technical artist — in French the Prix Vulcain de l'Artiste Technicien — which recognizes technical artistry in filmmaking, such as cinematography or sound editing. "For those who think that we're going to be partying on the Riviera, I'm there to accomplish a job," Schall-Vess says. "Not that I think it's going to be drudgery at all, but I'm going to have a lot of films I have to see over the course of a relatively short number of days. It's such an honor to be asked, I want to be sure I focus on that and give that my full concentration." An avid film buff, Schall-Vess is instrumental in helping to put on Richmond's celebrated annual French Film Festival at the Byrd and he was invited to be a Cannes juror by French cinematographer and director Pierre-William Glenn, president of the Superior Technical Commission of Image and Sound. The nonprofit industry association of French cinemas, projectionists, multimedia engineers and artistic technical experts, the commission is responsible for screening films at Cannes. Glenn, cinematographer for the 1973 Oscar-winning François Truffaut film "Day for Night," is a regular visitor to Richmond's annual French Film Festival. He and Schall-Vess bonded over their love of magic shows and the films of French cinema pioneer Georges Méliès, subject of last year's Martin Scorsese film "Hugo." Méliès' long-lost 1902 adaptation of "Robinson Crusoe" was screened at this year's 20th annual French Film Festival, sponsored by Virginia Commonwealth University and the University of Richmond. A well-known amateur actor, Schall-Vess, 46, has performed in productions for Barksdale Theatre and Chamberlayne Actors Theatre and will appear as Falstaff this summer in "The Merry Wives of Windsor" at the Richmond Shakespeare Festival. The Richmond native has worked as a film manager and projectionist at various theaters in Richmond and Pittsburgh since 1985. Correction: In earlier print and online versions of this story, Todd Schall-Vess' name was misspelled.